Chemistry is poised to make greater contributions to betterment of life and understanding of new materials. It will lead the way to development of new materials having desired features and detection at levels which could not be imagined before. 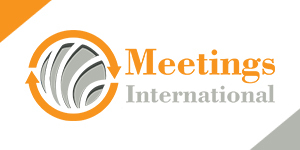 Meetings International is organizing its Chemistry conferences at Canada, Italy, Netherlands, UAE, UK and Spain. This provides individuals with a great opportunity to explore some of the fascinating destinations across the globe. The global clinical chemistry analysers market was estimated at $8,965 million in 2014. It is one of the largest industrial sectors and a leading source of direct and indirect employment in many regions. This market is expected to grow at a CAGR of 5.52% between 2014 and 2019, to reach $11,728.01 million in 2019. The chemical industry is vital to supplying modern products, economic development and materials and technical solutions across the European economy with 1.2 million workers and sales of €519 billion by 2015. Chemical production in the European Union is expected to barely grow faster than in 2016. Global chemical production other than pharmaceuticals will certainly grow by 3.4% in 2017. The global growth rate of the chemical market will be largely determined by developments in China, which accounts for more than a third of worldwide production.